Peyton Manning is going to retire at the end of the week—according to Woody Paige of the Denver Post, who cites a pair of sources. But the Broncos quickly refuted the retirement report, with PR man Patrick Smyth saying that the 39-year-old Manning has yet to make a decision. 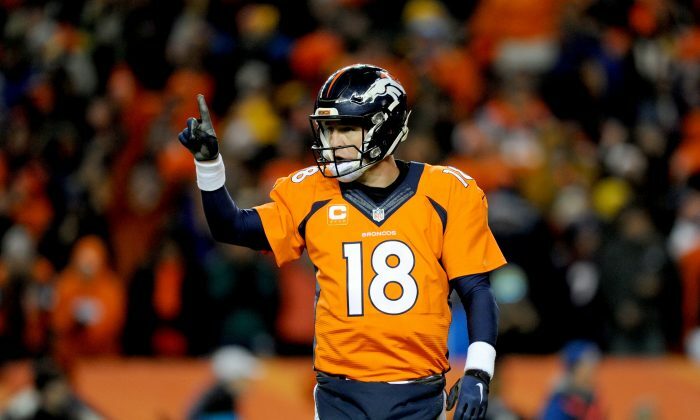 Whenever Peyton does retire, he is certain to be a Hall-of-Famer in his first year of eligibility. A retirement now would send him out on top as a member of the Super Bowl champs—something few sports icons have been able to do. John Elway—the Broncos Executive Vice President of Operations who brought Manning to Denver following the 2011 season—is one of those few who have done it. The longtime Broncos quarterback led the team to back-to-back Super Bowl wins following the 1997 and 1998 seasons, before calling it quits, while still at the top of his game. Michael Jordan did—sort of. His second of three retirements came after he hit the series-clinching shot in Game 6 of the 1998 NBA Finals against Utah, securing the Bulls’ second three-peat of the 90s. Jordan would retire before the start of the next season after it became clear that Phil Jackson was leaving and both Scottie Pippen and Dennis Rodman would be moving on. He would then un-retire three years later to play with the Washington Wizards for a pair of seasons, before retiring again. Of course while Jordan and Elway’s abilities hadn’t slipped before they retired, Peyton’s has. The five-time NFL MVP suffered through a foot injury before finally shutting it down for a few weeks during the middle of the season, and he never seemed to recover to his old self. In nine starts in 2015, he accumulated 2,249 passing yards while completing 59.8 percent of his passes and throwing 9 TDs—versus 17 interceptions—good for a career-low quarterback rating of 67.9. Nonetheless, the Broncos won seven of his nine starts thanks to a defense that ranked first in the NFL in fewest yards allowed per game. The defense also shut down the favored Carolina Panthers in the Super Bowl as Von Miller recorded a pair of forced fumbles on Cam Newton that were the difference in the 24–10 win. Having some fun at his brother's expense. Quite a different picture of Manning painted here.